This is a book full of surprises that keeps your attention as the author plays out the plot giving you a highly entertaining listen. I thought it was really well written that is fast paced filled with action and mystery. I did guess who was pulling the cords a little over half way through but I have been wrong before. I didn’t know the how or why until near the end. The author does a great job at keeping you entertained and guessing. This is a very fast pace thrilling read that goes back for years and ties into Murphy wife’s first husbands killing that everyone thought was an accident. As you first start to listen you think oh what a sweet wonderful cop and listen in horror as the action unfolds. The author skips ahead a few years and the book takes off leaving you with your mouth hung open thinking oh my Lord a time or two. The author gives you a ton of surprise along the way with some shocks as well. You will find monsters and still more monsters controlling everything from women to a career with one person behind it all trying to take the world on to get what they feel they deserve. As the end comes you will be left with shocks and surprises that will leave you with your mouth hung open. Mr. McAllister I thought did a wonderful job with the character voices he really put emotion into them never leaving you guessing who was talking or what they were feeling. I thought his normal voice where he was just reading didn’t come across as easy or as natural as I thought it should. I did feel all in all he did a wonderful job at keeping me pulled in and entertained. You could really feel the emotions he put into the read. I did not hear any background noises or any places where the audio was higher or lower than any place else on the audio. If any breaks were taken I could not tell. I felt he gave a clear and clean listen that really pulls in the listener. His male voices were just as great as his females you had no trouble knowing who was talking or what they were feeling. I had no trouble picturing what the author wanted me to as he narrated the book. I do look forward to listening to more of his work. The author gives you so many wonderful characters it is hard to pick my favorite. I would have to say my heart really went out to Cameron and Lizzy the most. Just wait until you meet Monica and the part she plays. Your heart may change on this little dear..that is all I can say. As the book takes off with 5 women dead and the why, who and what keeps you in surprise you are pulled in and left on the edge as more people’s lives are at stake you are left wondering who will be left a live if any. I loved the plot and the characters. The mystery was outstanding as well as the thrills and holding your breath to see what happens next. 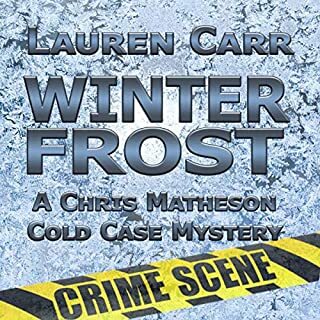 As the mystery builds and suspense takes over it was an audio I couldn’t put down. I found things to do around the home so I could listen longer. This is filled with action never a dull minute as the chilling mystery unfold leaving you wanting to get your hands on one person for all he put so many through. I had no trouble visualize the scenes as they came to life for me leaving me at times in shock at how far one person would go and what they would do. The title really fits this story it all started with a kill and run as the author takes you through the paces of one man and his career to get to the top. This book was really thought out giving the reader/listener a highly entertaining listen. I am so looking forward to more work from this author. If you love a little mystery, with lots of action and a little romance this is the thriller for you. This story had so many characters and a lot of twists and turns I never expected the guilty one to be who it was till near the end. Loved the characters and the story line the author made me believe there is a shadow unit within our military. Can't wait to read more from her. The narrator did a beautiful job. I received this free from the author or narrator free for an honest review. What did you love best about Kill and Run? 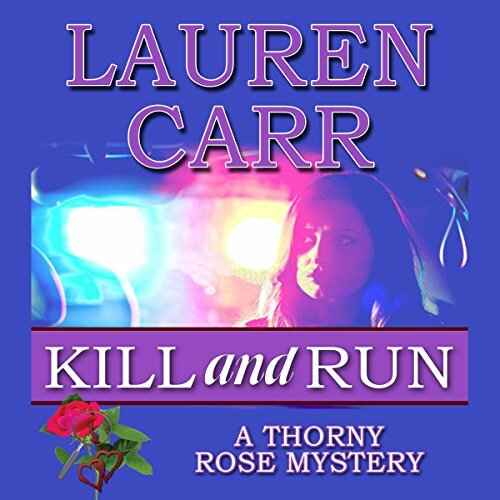 Kill and Run is the first book in the new series A Thorny Rose Mystery but it is a spin-off of two series Lovers in Crime Mysteries and Mac Faraday Mysteries. I am enjoying this new series. This book was provided free of change in exchange for a review. This book was performed well. Very understandable with great dialog and expression. The entire investigation was about the deceased mistresses of the general and the degree people will go to to help others advance their career. Entertaining and well done book. Cameron startles awake from her dream and nearly decks her current husband, Joshua Thornton. Not exactly the way you want two men in your bed! Lt. Murphy Thornton is Cameron’s stepson and he is investigating the murder of five women. There’s a connection to Cameron and the words Nicholas spoke are coming back to haunt her as pieces of the puzzle start falling into place. Kill and Run is a police procedural and a mystery. Two of my favorite genres and then you toss in the relationship dynamics of a blended family and you have a well-rounded story, with characters you truly care about. The audiobook is narrated by CJ McAllister. He has a voice perfect for police/military stories and in this fully voiced production. He does an outstanding job voicing both genders. This eleven-hour audiobook literally flies by, the action is non-stop and CJ McAllister's pacing is on point. 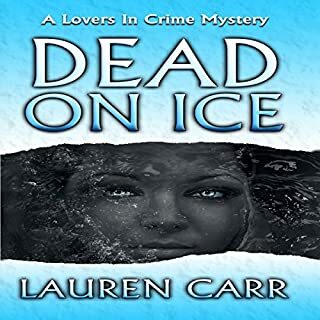 This audiobook is the first in the series and the first audiobook that I’ve listened to from author Lauren Carr. 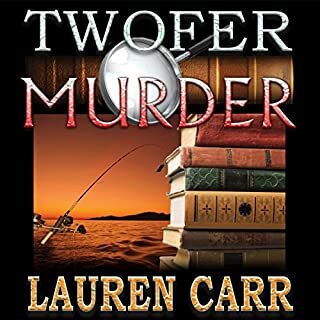 After listening to this audiobook I’m searching to see what else Lauren’s been up to! 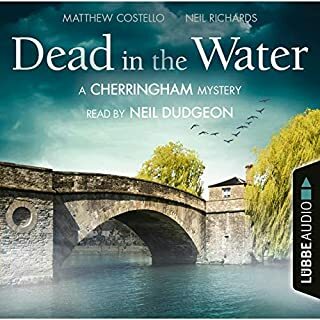 This audiobook was gifted to me in exchange for an unbiased review! Would you consider the audio edition of Kill and Run to be better than the print version? Each version has its own benefits and can be enjoyed. It is nice to be able to do other things as I listen to the story, altho often I found myself concentrating on the details. What other book might you compare Kill and Run to and why? Several crimes entangled in connected ways that draw various family members deeper into danger and into each other's lives in ways no one would imagine when combining families. Which character – as performed by C.J. McAllister – was your favorite? I wish I could have, but it is long enough it took me several days and car trips to listen to it all. Kept Me Glued to the Story!!! Lots of Thrills! I recommend this story to anyone that enjoys thrillers about serial killers. There are many twists and turns and the story will keep you guessing until the end. I enjoyed Murphy. The author did a a great job building his character. He has a lot of depth and I hope there will be more of him in future books. Good performance by the narrator. I do not like to give away anything in my reviews. Get ready for an incredible murder mystery!! The story was intricate and very detailed. I love how the mystery unfolded. The whodunnit was a big "WHOA!" Murphy, the main character, was the embodiment of Captain America and we should all have the relationship that he had with his wife. There were several hold-your-breath moments and a good, warm, family feeling that came across as very real. The narrator was excellent!! I felt every word and every personality. The cast of characters included military personnel and a 13 year old girl and he handled them all. This listen is the first in a series but some of the characters were from another series. Now that I know they exist, I'm going back for the earlier stories. I'm hooked!! I love it when an author starts a new series based on a side character of another series. 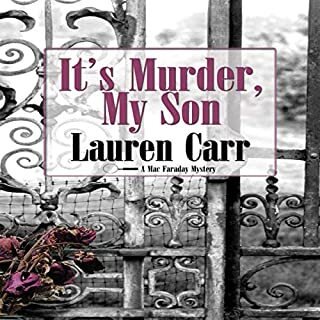 Lauren Carr has masterfully created Thorny Rose Series by bringing together Lovers in Crime and Mac Faraday characters. I really like this insight into Cameron Gates (Joshua Thorton's wife) and her dead husband, and how things tie into some cold cases. Kill and Run is full of unexpected twists, incredible imagery, some humor, and satisfaction of having the crimes solved. CJ McAllister did a great performance with this book. I love his distinguishable character voices. I will definitely listen to more books by this talented author and narrator. I was voluntarily provided this free review copy audiobook by the author, narrator, or publisher. This book had an awesome story line with a lot of complicated characters. Lots of twists and turns in the plot, but it was still pretty easy to follow. It did start out pretty slow for me, but once it got started the action didn't stop. I found myself getting irritated that I had to stop listening for a while because I kept getting interrupted. I wanted to keep listening and find out what was going to happen next. The narrator did an awesome job too. Easy and pleasant to listen too. "I can feel us getting into trouble." This is a tale of many parts and even more characters. Initially starting as a mystery detection plot, five women, apparently unconnected, are found murdered at one of their homes. 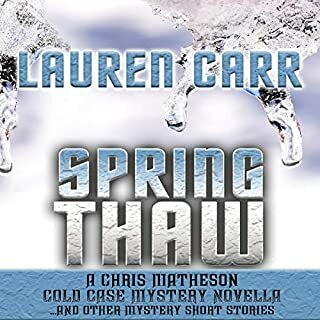 Because of a navy connection, Murphy.Thornton, a newly married Criminal investigations Liaison Officer, takes control of the case. What he discovers links in other disperate killings, also seemingly unrelated. Later, the who-and-why-dun-it? becomes a how-to-get-him? story. Meanwhile, there is an ongoing backstory of Murphy's private as well as public life, his wife, father and his father's wife plus that of one of the victim's survivors, a 13 years old child named Izzy, who Murphy takes into his temporary care. And a host of sloppy tongued dogs. With such a large cast list, narrator, C.J.McAllister, does a stirling job distinctly voicing them all. His wonderfully rich voice, however, is marred during the text reading by a somewhat flat intonation which I personally found irritating after a few minutes. Nevertheless, his overall performance is good and certainly enhances the understanding of the story. This is an involved, interlocking thriller, quite exciting, sometimes surprising, but the domestic scenes were just a little too cozy for my liking. My thanks to the right's holder who gifted me a copy of Kill and Run, via Audiobook Boom.